The Assistive Technology (AT) program in the elementary school was created to meet the needs of individual students who benefit from the use of assistive technology devices in their classrooms. The goal of the program is to support students’ independent use of assistive technology to enhance their academic performance. A struggling reader can use a chromebook, laptop, or an iPad to read a document or audiobook. Students who have difficulty with composition can choose words from a list using word prediction or use speech recognition software while they compose. Students who have difficulty with the mechanics of writing can use document annotation software to complete a written worksheet. The AT team in the elementary school currently consists of three Elementary Division Therapists, the Educational Technology Coordinator, the Assistant Head of School, the Elementary Division Head and Assistant Head, and the Elementary Division Literacy Coach. The team meets each month to discuss a student’s progress with AT tools, to explore different strategies and new technology for particular students and to identify potential new students for the program. 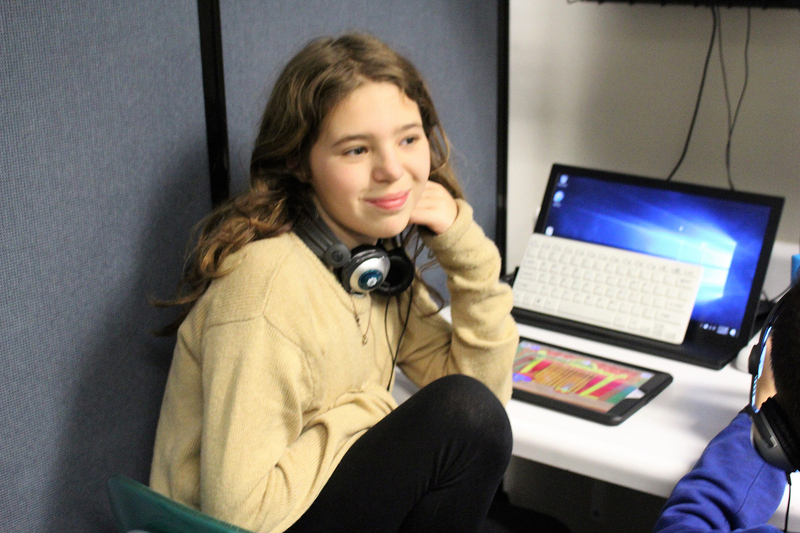 Since the start of the pilot program in 2015, the AT team in the elementary school has identified and supported the use of assistive technology with 36 elementary students and has consistently grown with each year. Students on the 5th floor and identified 4th floor students have benefited from the development of the AT team, specifically regarding the shift toward the use of Chromebooks and Google G Suite for Education accounts to make a more seamless transition to the middle school. To support the needs of the student population in the elementary school, touch-typing skills are a programmatic intervention for 4th and 5th floor students, as well as some identified 3rd floor students. The AT team used a PA Grant to review and compare a variety of programs. The students had the most success with Touch-Type Read and Spell, as it aligns with the Orton-Gillingham method, Type to Learn 4 and Typing Club. The results of this review improved the current AT model at the elementary school, improved the Therapeutic Typing class, and further continues to aid identified students who need more support using assistive technology as an alternative for written expression. The use of grants, meetings, and one on one training with students and teachers allows for the opportunity to determine the best, most current, and most effective technology to support the educational needs for our students. We are excited to further explore technology as it continues to evolve in order to meet our students’ needs.